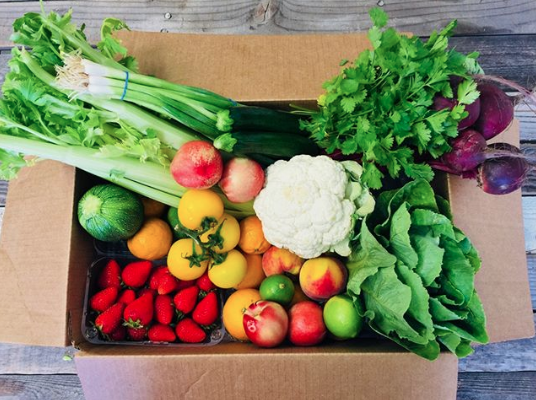 See what San Diego is saying about our organic food delivery. “We are a health conscious company and wanted to provide healthy snacks for our team. We started with one Daily Harvest delivery per week, but our employees loved the fruit so much, we added a second delivery mid-week! The delivery is convenient and provides a nice variety of ripe and in-season organic fruits. We also like the fact that we are supporting local farms & businesses. I highly recommend you give it a try.” Lisa Gonzales, Director Human Resources ~ Maintenance Net Inc.
“My oh my, the fruit is GONE!!! I don’t think it lasted more than 3 hours! I think we may look at ordering more for next week, but need to pow wow with my manager first. I’ll let you know by Thursday, for sure. BIG HIT!” Gina So’oto – HR Coordinator, Human Resources ~ Alphatec Spine, Inc.
“Bonus, everyone LOVED the truck!!! A resounding thumbs up. Here are a few emails that I got, in addition to many verbal kudos!” HR from Breg, Inc.
“Yes! This is an awesome idea!! Will you all be doing this every week? Thank you.” Kristina C.
“I love this idea!” Michelle B. “Loved loved it!!! Would love to have them come back.” Tenaya O. “Two thumbs up this was awesome! Love that I can just get exactly what I want and not have to worry about wasting anything from the box and or not liking what was put in the box.” Debbie D.